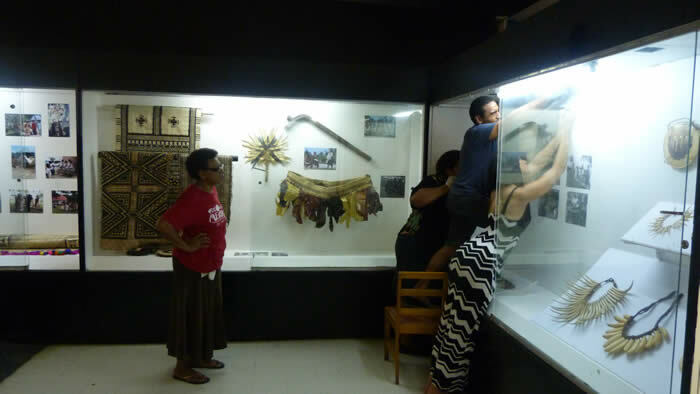 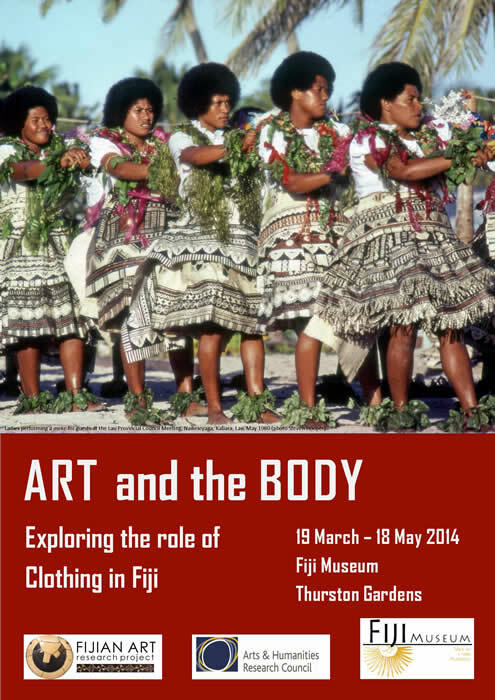 Above: The completed exhibition photographed in panorama (photo: Bethany Matai Edmunds). 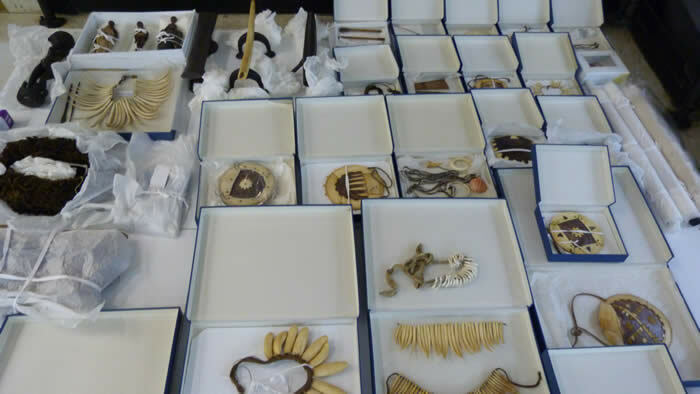 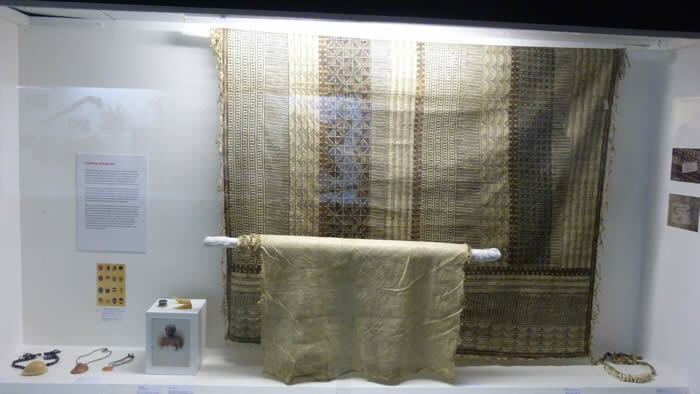 Below: The completed Clothing & Gender case, featuring fine quality masi, rare shell pendants, ear ornaments and other treasures (photo: Karen Jacobs). 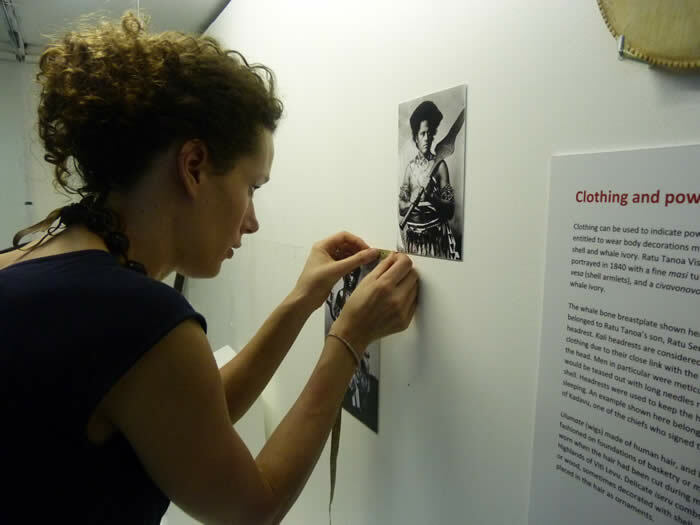 Katrina Igglesden and Rosanna Raymond activating their contemporary work 'Observational Outlooks Through the DNA of the Atua Tagaloa' (photo: Karen Jacobs).